Experience Years of translation experience: 25. Registered at ProZ.com: Feb 2012. Became a member: Apr 2007. 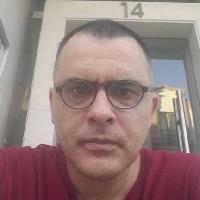 I am Eduardo Alexandre Pinto, I had my degree in 1994 in the English and the French idiom. Later between 2009 and 2017, I wrote 17 Books which are protected by the International Laws of Intellectual Property (copyrights) and which can be found on www.amazon.com in the books section under my name. In Lisbon I have helped hundreds of humans who wanted to go abroad with a certified signature over the translations on which I had performed. I am skilled into Medical, Law, Chemical, Engineering as well as on Literature, Poetry, Social Sciences. Plus tard pendant 2009 et 2017, j’ai écrit 17 livres qui sont protégées par les lois internationales de la propriété intellectuelle (droits d’auteur).